All transactions are safe and secure with a reliable history in online purchasing behind each of our associates. Buy the Sheldon Physicist t-shirt to own Big Bang Theory clothing and merchandise. Sheldon is offended when his twin sister Missy belittles him by informing him that she tells her friends that he is a rocket scientist. He reminds her that he is a theoretical physicist. Offended, he further responds, "Why don't you just tell them that I'm a toll taker at the Golden Gate Bridge!" It is not uncommon for him to have to clarify his official title. Help him set the record straight in this Senior Theoretical Particle Physicist Sheldon Cooper t-shirt that displays his official job title. 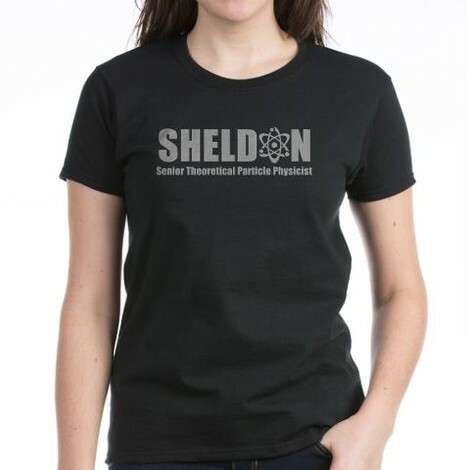 In addition to the Sheldon Physicist tee above, browse the Big Bang Theory Clothing Gallery for more apparel like men's and women's clothes, kids shirts or hoodies.